Why should I get rid of my unused or expired prescription drugs? ​1 in 20 adults misuse prescription drugs. ​1 in 5 teens misuse prescription drugs. 70% of abused prescription drugs come from family and friends. 4.7 million Americans are addicted to prescription drugs. Drug-overdose deaths are increasing, and reached a high of 47,055 in 2014. Where can I safety dispose of my prescription drugs? Bring your old, unused, or expired prescription drugs to an LA County Sheriff's Department safe drug drop-off box 24 hours a day, 7 days a week. This Saturday 4/29, the National Prescription Drug Take-Back Initiative will provide additional disposal locations from 10am-2pm in addition to safe disposal sites that are available year-round. Find the location nearest to you! Taking medication in any way that is different from how it was precribed, or to get "high"
What prescription drugs are commonly abused, and what are the signs? What can I do to prevent prescription drug misuse? Never take prescription drugs that were not prescribed to you by your doctor. Use prescription drugs only in the way your doctor instructed. Don't mix or use in combination with alcohol or other drugs. Don't use prescription drugs obtained from illegitimate sources. They can be counterfeit and may contain other substances, such as fentanyl, that can lead to overdose and death. Keep track of your medication and store in a safe place out of reach from children, teens and pets. Don't flush your medications or throw in the trash. Get rid of your old, unused, or expired drugs at a local LA County Sheriff's station or safe disposal location. This Holiday season, Rethinking Alcohol and Other Drugs (RAD) reminds you to plan ahead for a safe holiday season. ​Reports show that the me period between Thanksgiving and New Year’s Day includes some of the most dangerous days for drunk and drugged driving deaths. 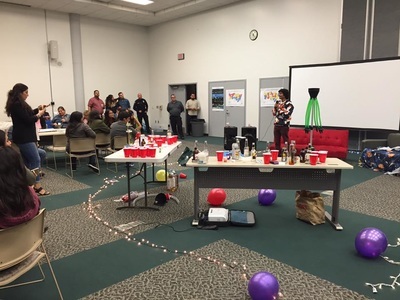 In fact, drunk driving deaths and underage drinking increase around the holidays according to the National Highway Traffic Safety Administraion and the Substance Abuse and Mental health Services Administration. Alcohol remains the 2nd leading cause of death and disability in Los Angeles County, and is associated with over 54 acute and chronic health conditions. The good news is that alcohol (and other drug) related incidents are 100% preventable, and RAD has made prevention messages available to download & share in 5 languages this holiday season. 2. Only Drive Sober: Designate a non‐drinking driver before any celebraon if you are going to drink alcohol and encourage others to do the same. 3. Take the Keys: Never let friends drive if they are impaired, or under the influence of alcohol or other drugs. 4. Be a responsible host: Offer alcohol‐free beverages. Make sure all of your guests leave with a sober driver. ● Over 1 in 3 fatal collisions involve alcohol. ● 1 person is killed in a drunk‐driving crash every 52 minutes. ● Alcohol‐related emergency room visits increased by 82% between 2006‐2013 in LA County. ● 10,076 people were killed in crashes involving alcohol in 2013. 65% were the drunk drivers themselves. 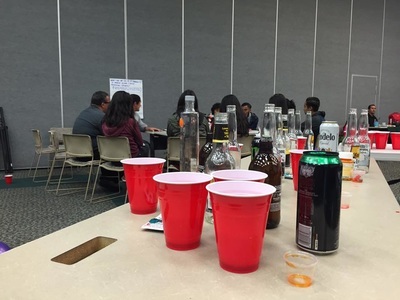 ● Over 1 in 3 young adults (Ages 18‐25) binge drink. ● 1 in 5 child passenger deaths involve a drunk driver. ● Almost 1 in 10 (8%) of drunk drivers involved in fatal crashes have one or more previous DUI convicons. ● Men are more likely than women to be driving drunk in fatal crashes. ● Drunk driving is more common at night: Half of all traffic fatalies at night (6 p.m. to 5:59 a.m.) involve drunk drivers. ● Among drivers ages 18‐34, 45% of fatalies involve a drunk driver with a BAC of .08 or higher. ● Alcohol‐related crashes, injuries and incidents cost LA County $10.3 Billion every year. ● Impaired‐driving crashes cost the United States $49.8 Billion every year. ● After alcohol, marijuana and prescripon drugs are most commonly linked to drugged driving crashes. We wish you and your loved ones a #RAD Holiday Season! Proponents of Prop 64 argue that the Adult Use of Marijuana Act (AUMA) is about social justice and decriminalization because they know these are important issues for minorities and communities of color. However criminal justice reform and marijuana legalization are and should be viewed as separate issues. We know this because previous laws that legalized medical marijuana did not fix the criminal justice system, and legalizing marijuana for recreational purposes won't either. However, the negative public health and safety consequences of increased access to marijuana are expected to disproportionately impact youth and low income communities of color. #1: Youth are one of the groups most at risk for harms associated with regular marijuana use. 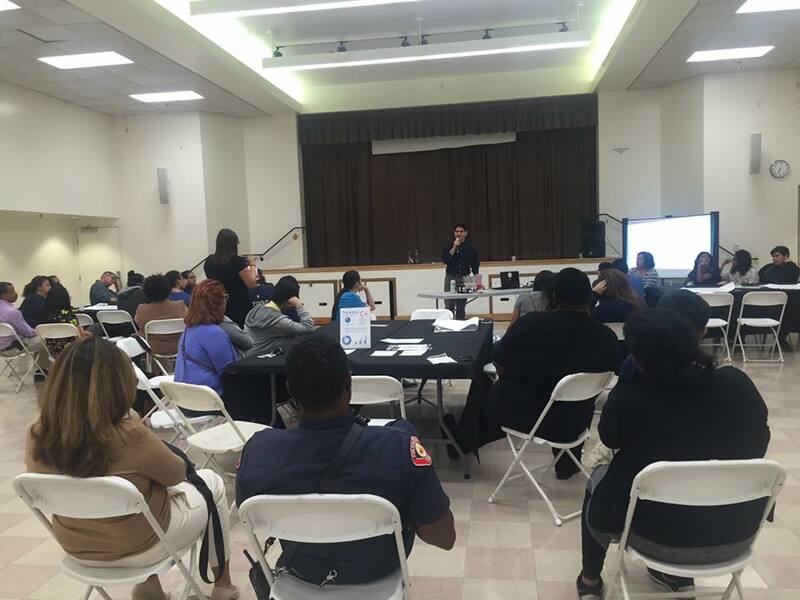 25% of youth in LA County aged 12-17 report that they already use marijuana according to an assessment conducted by Rethinking Access to Marijuana. 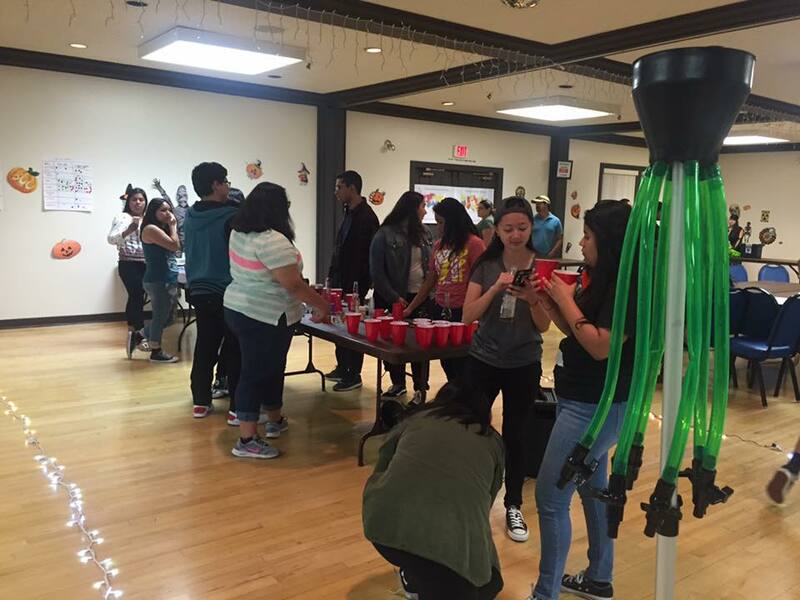 Prop 64 would further expand access to youth under age 21 in an unprecedented way. 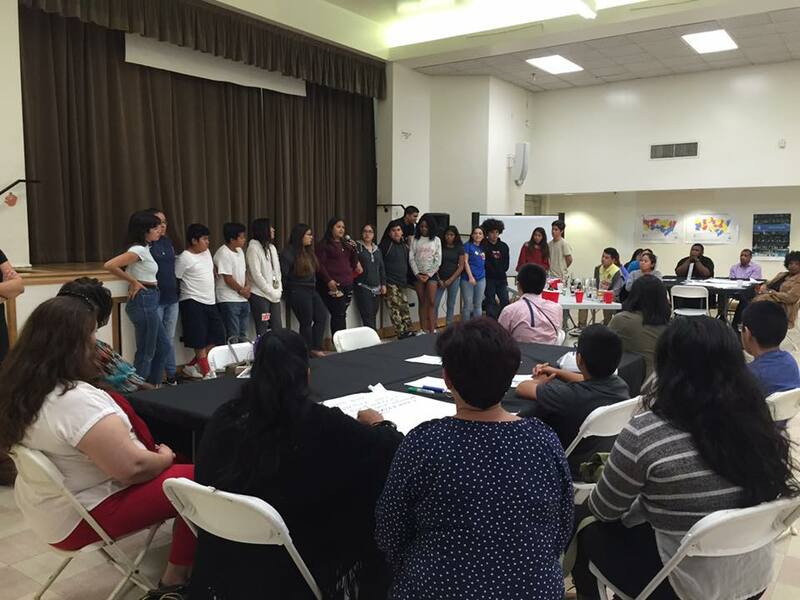 Community-based organizations oppose Prop 64 because the risks to the health, development and safety of youth and young adults is too great. Prop. 64 would actually create new crimes and calls for jail time for youth for a host of new offenses. 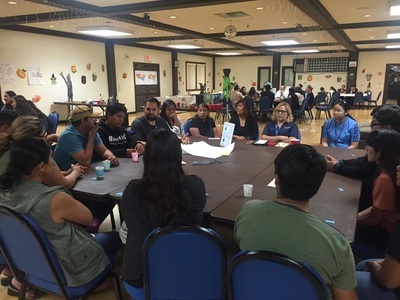 Public health providers acknowledge that social and physical conditions within communities play a major role in shaping the health and well-being of community members, especially youth, and it is unfair to criminalize youth for a behavior that has become social norm, especially if we make access even easier. Additionally, increased exposure to marijuana seems to correlate to increased youth use. According to a nationwide survey of young adults ages 18 to 25, children of parents who smoke marijuana are more than three times more likely to use it themselves. #2: Marijuana has been decriminalized in CA since 2014. Prop. 47 which passed in 2014 has already decriminalized simple possession of almost all drugs, including marijuana, and possession of marijuana has already been reduced from a felony to a misdemeanor in CA. As a result, California has already drastically reduced all drug-related arrests and the prison population across the state. In Los Angeles County, drug arrests fell one-third just in the first year, made nearly 10,000 inmates eligible for re-sentencing, and thousands others have already been released. Prop. 64 would actually create new crimes and calls for jail time for a host of new offenses for young adults, and we can expect communities of color and young adults under 21 in particular will be targeted. Only "remaining funds" make mention of youth drug prevention and education, none of which are guaranteed funds. Prevention is basically left out and is an after-thought in this law. This is unfair to low income communities of color who are still dealing with problems associated with liquor stores at every corner, and high rates of addiction to alcohol and other drugs. #4: Prop. 64 would increase "drugged driving" and drug-related traffic fatalities. Drug-related traffic fatalities have more than doubled in Washington and Colorado since regulation. 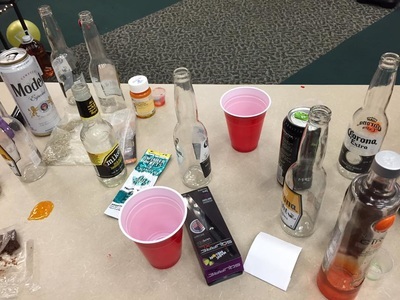 Law enforcement is not currently aware of any standard measurement that can be used to measure intoxication of marijuana as exists for alcohol, and this law does not address this serious safety concern. #5: Prop 64. would undermine restrictions on smoking advertising. 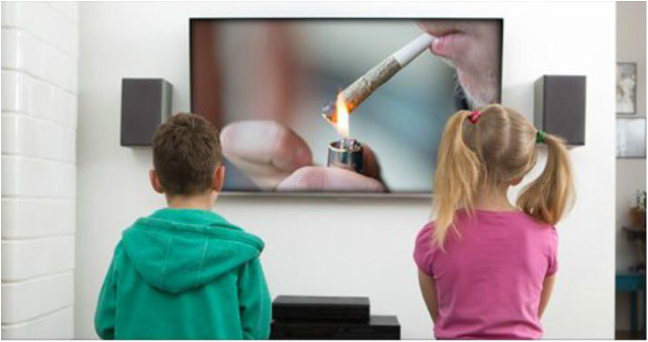 Tobacco ads have been banned from television for decades, but Proposition 64 will allow marijuana smoking ads in prime time, and on programs with millions of children and teenage viewers. The risk of second hand smoke and lung cancer rates could also increase. Create Bureau of Marijuana Control. Allow smoking in a private home or business licensed for marijuana consumption. Allow Californians age 21 and over to grow up to 6 plants within a private home if locked and in a non visible area. Smoking would remain illegal while driving a vehicle, public places, on school grounds or anywhere children may be present. Businesses will only be able to sell marijuana with a state license and possibly a local license while not selling within 600 feet of where children may be present: school, day care, youth center. What can we do if Prop 64 passes? Support responsible local public health policies in your cities! As of October 2015, Governor Jerry Brown signed in place The Medical Marijuana Regulation & Safety Act that allows local government within the state to legalize distribution of marijuana within their cities within their own terms of how they want to deal with marijuana within the town. Within the original writing within the bill, it gives local government to act within the deadline of March 1, 2016. In February, Jerry Brown had put into place an extension to make a decision, so that cities are able to come to a thoughtful and beneficial decision for their towns. If a city, county, or city and county does not have land use regulations or ordinances regulating or prohibiting the cultivation of marijuana, either expressly or otherwise under principles of permissive zoning, or chooses not to administer a conditional permit program pursuant to this section, then commencing March 1, 2016, the division shall be the sole licensing authority for medical marijuana cultivation applicants in that city, county, or city and county. This has become a debating issue within local communities, due to the fact that this bill also limits patients who have a medical license to will not gain access to medical marijuana for their conditions. Overall, the cities within the San Gabriel Valley have decided to prohibit all delivery and dispensing services argue that it will help reduce/prevent crime into their areas and reduce usage. Given that there has been an extension to the decision date, these cities have the option to change their opinion and open to more discussion about this issue. St.Patrick’s Day is a bar holiday notorious for its drinking reputation and high risk activities. High rates of drunk-driving and alcohol-involved collisions and injuries are also reported on St. Patrick's Day every year. What are your upcoming plans this St. Patrick’s Day? If they involve excessive drinking or a night out, here are some things you may want to consider before partaking in any festivities. DUI checkpoints, don’t risk paying up to $10,000 for one night of recklessness. More and some helpful tips from the Los Angeles Sheriff’s Dept. on how to avoid and prevent a DUI here. Many bars are partnering up with ride share services and could possibly offer free rides. Check your local areas for participating partners. Be prepared and be sure to download ride share apps in advance, initial use may give you a free ride! To check out free ride share promotions for Lyft or Uber click here. If you decide that you had a little to many than expected, AAA offers free towing for up to 7 miles from your destination, just call 1-800-400-4AAA and tell the operator you need a “tipsy tow”. Let someone know where you are going and don’t show up to parties by yourself, especially if you are going to a house party or an unfamiliar place. Drive Sober and encourage your friends to always do the same! 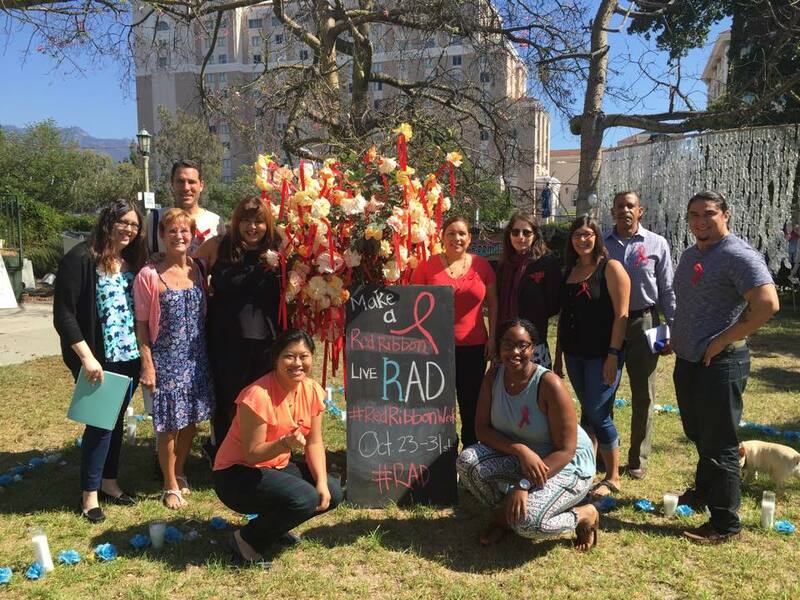 This October, Mayor Terry Tornek of the City of Pasadena Pasadena proclaimed Red Red Ribbon Week October 23-31st. 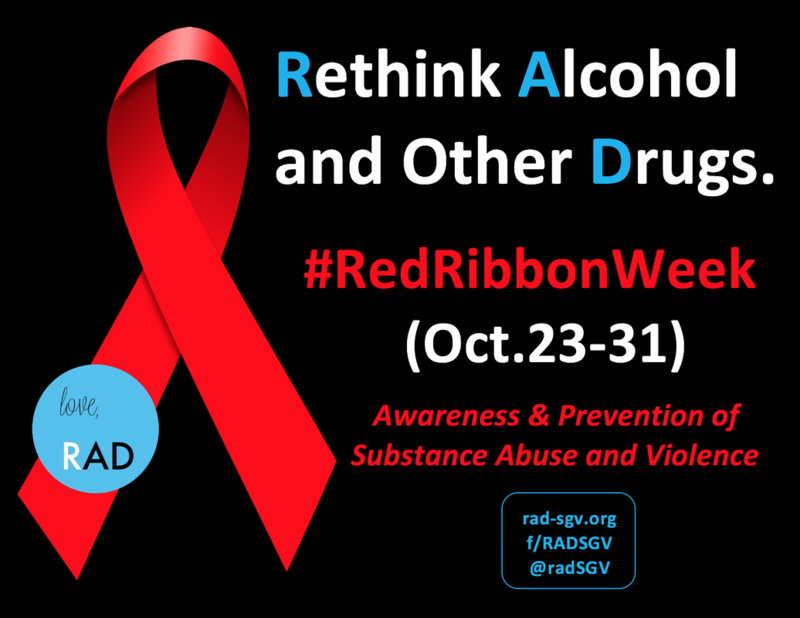 Red Ribbon Week is a national week of awareness and prevention of substance abuse and violence that was established by the National Family Partnership, a non-profit organization in 1985. This year's theme, 'Respect Yourself', encourages youth and families to take a pledge to choose healthy drug-free lifestyles without illegal drugs or the illegal use of legal drugs http://redribbon.org/about/. Pasadena's new proclamation also recognizes the need for families, schools, businesses, churches, law enforcement, youth, and community organizations to all work together to "establish an atmosphere that supports awareness, education, and ongoing initiatives to reduce alcohol and other drug-related harm in order to protect the health and safety of all it's citizens." RAD appreciates your support as we continue to raise awareness about how substance abuse negatively impacts youth and families. 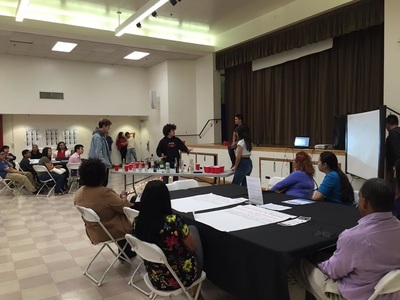 In the past year, RAD has collaborated with community groups and partners on a variety of projects including hosting a forum on Marijuana Policy at Pasadena City College to raise awareness about how the legalization of marijuana use could negatively impact the health of youth and communities; a Reality Party event for Parents in Pasadena on binge drinking at teen parties, a speaker panel event on alcohol abuse in partnership with Vroman’s Bookstore, and a month-long awareness campaign in September for National Recovery Month. During this week of awareness, RAD hosted and attended community events and lead window marking campaign to raise awareness about substance abuse. 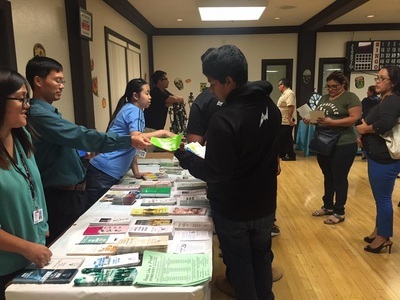 Stay tuned for free community programs and events coming to Pasadena and the San Gabriel Valley as we continue our efforts to educate and raise awareness about the harms of substance abuse year-round. Contact us if you would like to partner in bringing resources or an event to your community! ​Excessive Alcohol Consumption is the second leading cause of premature death and disability in LA County (Los Angeles County Department of Public Health). 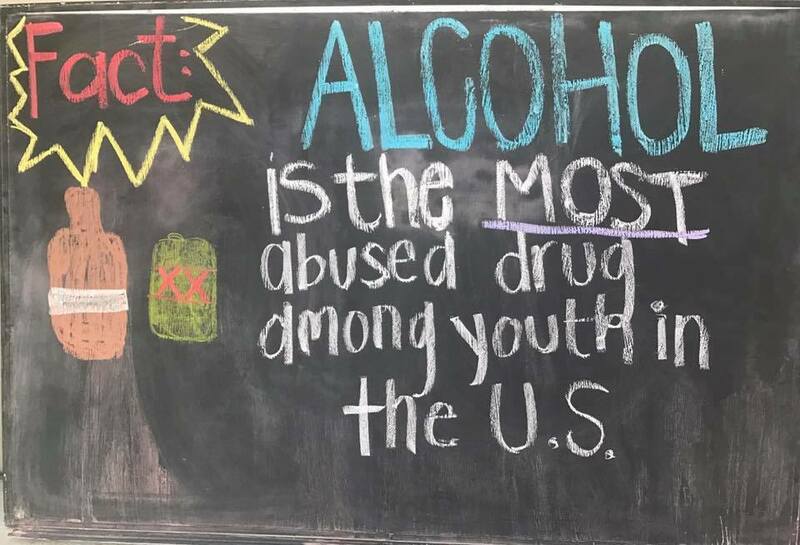 Alcohol is the number one drug of choice among America's youth and is more likely to kill young people than all illegal drugs combined (U.S. Department of Health and Human Services). Every year, 6,500 young people under age 21 die from alcohol-related incidents and thousands more are injured (National Highway Traffic Safety Administration). 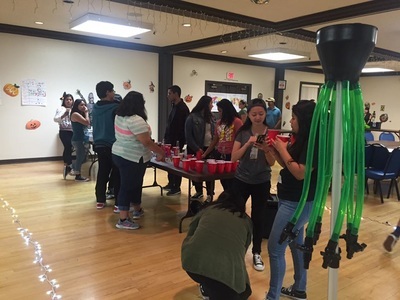 Research shows that youth who begin drinking before age 15 are 4 times more likely to develop alcohol dependence or abuse (Substance Abuse and Mental Health Services Administration). The number of drug-related deaths in the country is currently higher than the number of people killed in traffic accidents. 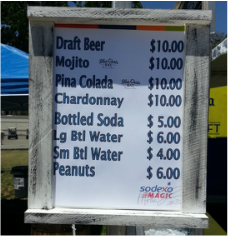 Have you ever been to a major event on a hot day and found bottles of water being sold for $5, $8 or even $10 dollars? Unfortunately this scenario plays out far too often at public events across southern California, with significant impacts to public health and safety. The City of Pasadena is in the midst of adding another major public event to the region with concert promoter AEG/Goldenvoice. While event details have yet to be determined, the proposed “Rose Bowl Music and Arts Festival” would take place annually every June and accommodate about 95,000 music fans a day for two to three days. The proposal is driven by the high cost of the stadium renovation, as well as the economic benefits major events bring to local hotels and other service sector businesses. Yet such a major event also presents unique public health and safety challenges to the surrounding neighborhoods, community and region. A basic law of economics states that when products become more expensive, people tend to purchase less of them. This basic principle holds true for water, alcohol and other beverages. In other words, if you are a community and want to incentivize safer, healthier behavior among event attendees, bottled water should always be the cheapest item on concession stand menus, followed by other non-alcoholic beverages, and then beer, wine, and if sold, distilled spirits. Tap water should also be made available free of charge via the use of temporary water stations and/or permanent water fountains. Why? The risks associated with binge drinking at large events are many, and include increased rates of impaired driving, motor vehicle crashes, accidents, and physical and sexual violence. In the worst case scenarios such alcohol misuse can lead to permanent injury or death, as in the tragic beating of Giants fan Bryan Stowe at Dodgers stadium in 2011. Every year alcohol use kills about 2,500 people in Los Angeles County, making alcohol the number two cause of preventable death in the region. Young people are particularly sensitive to price and research shows that even modest price increases can significantly reduce the rates of heavy drinking and impaired driving crashes involving youth. [i] Existing research also underlines that alcohol price policies are among the most effective strategies available for reducing risky alcohol consumption and related harm and costs. [i] 25Laixuthai, A. & Chaloupka, F. (1993). Youth alcohol use and public policy. Contemporary Policy Issues, 11:70-81.